The summer heat can make your engine hotter and potentially cause it to overheat. There are some simple tricks you can try to prevent an overheated engine, such as getting a synthetic oil change. Engines run at extreme temperatures. Combine those temperatures with the current summer temperature, and the results can be terrible. The excessive temperature can cause your engine to overheat and possibly leave you stranded somewhere under the sun. The heat can affect your engine in several ways, such as evaporating the precious fluids that make it work. A synthetic oil change can help prevent your engine from overheating, but there are other things you need to consider as well. Keep up with your car’s maintenance: If you expect your vehicle to provide the best performance and not leave you stranded because of the heat, you need to make sure you meet its maintenance needs. Take your car for routine checkups with the mechanic, pay attention to any signs that light up in your dashboard, keep your tires at the right pressure. Take some time to learn more about your car by reading your owner’s manual. Maintain the cooling system: Synthetic oil does play a role in keeping your engine cooler, but the chief worker when it comes to regulating the engine’s temperature is the cooling system. It needs to be in perfect working condition this summer to do a good cooling job. Be sure to provide proper maintenance to all the parts that make up the cooling system, which are the radiator, pressure cap, water pump, fan, thermostat, hoses, and the coolant. Don’t forget to refill the coolant. When the coolant levels are low, the cooling system struggles to complete its cycles and performs poorly. If the levels are low, it’s time to get AMSOIL’s Low Toxicity Antifreeze and Engine Coolant. Pay attention to the temperature gauge: You can find the temperature gauge in the dashboard. It lets you know when the engine is heating up. Pay close attention to the gauge when you’re driving. If the temperature is climbing, you need to blast the heater to max and let the hot air escape. Avoid blasting the AC at all costs. Cover your car: Just like yourself, your car can start feeling bad and dehydrated when exposed to the sun and the heat. Constant sun exposure can affect your car’s performance and longevity. Try to park it under the shade and use sun shades on the windshield. 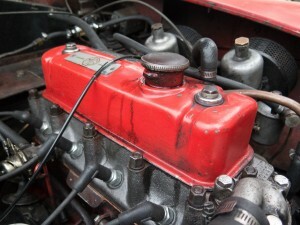 Be gentle with the engine: You can also make your engine’s temperature rise by constantly stressing and overworking it. Go easy on your engine to keep it from overheating. Keep a steady pace when you drive, don’t over pack your vehicle, and keep your engine properly maintained and lubricated with a synthetic oil change. Keep your engine cool, improve your fuel mileage and your engine’s overall performance with an AMSOIL Synthetic Oil change in Apopka. You’ll get the best oil protection in the market. You can call Ken Reaser Enterprises at (321) 230-6958 to place your order, or you can purchase your synthetic lubricants online.